Every year the GoldenPlec community of writers and photographers (50+) come together to vote on their ones to watch for the upcoming year. After pulling the votes together, we select our 'Plec Picks' for 2017. We have classical artists alongside rap, jazz, funk, grunge and anything in between. Our list strives to encompass a broad spectrum of music in order to highlight the thriving music scene that exists in Ireland. Super Silly are Solbas, Glory, Whodis and Grvz. They hail from Dublin and are on the wonderful and growing roster of musicians at the Word Up Collective. 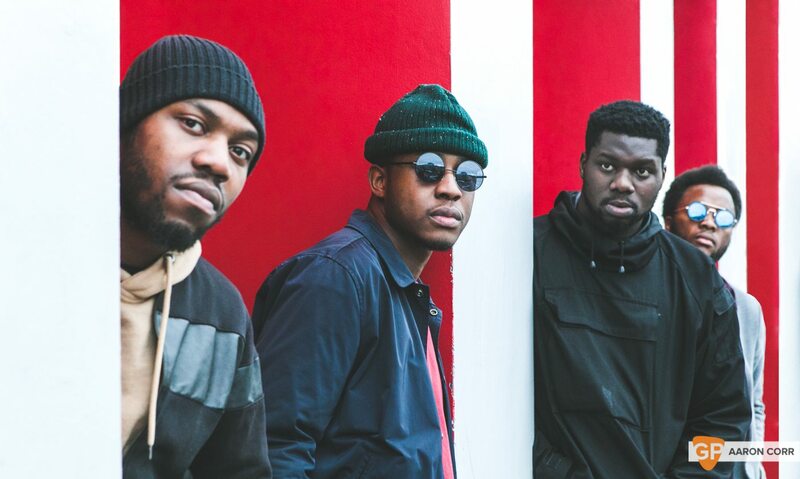 They combine their gospel music upbringing with percussive blends of RnB and hip-hop. 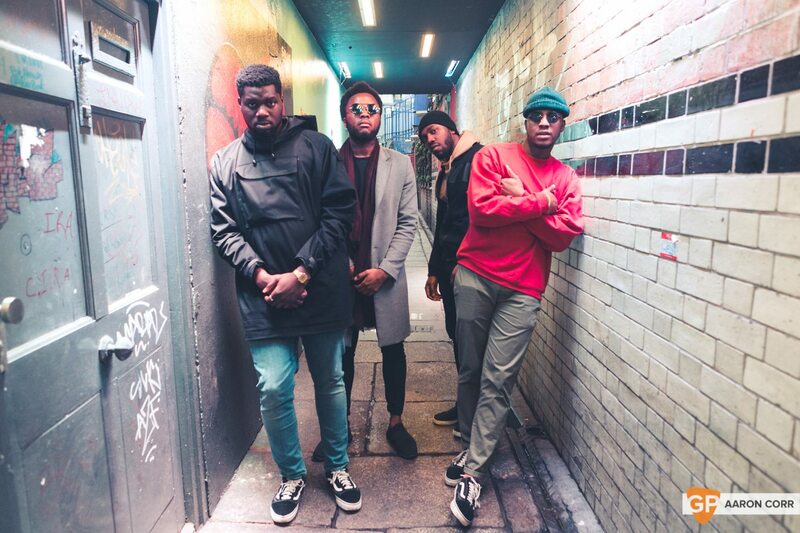 Making waves with their Diffusion Lab produced single No Pressure earlier this year; they’re part of an exciting new generation of African-Irish twentysomethings looking to push our music scene to stylish new heights. What has us particularly brimming with excitement is their ability to move between singing and rhyming at will and their penchant for a killer chorus. Introspective yet triumphant, No Pressure is a belter of a track and has us perched at the edge of our seats to see how Super Silly progress in 2017. From chatting with them at The Bernard Shaw, it became clear that Super Silly thrive upon being informed by a vast number of influences. Over the course of half an hour we discuss several things, among them, “complex music” and the diversification of Ireland and how this can facilitate them to achieve success in 2017. We ask them whether they think that hip-hop is engaging with faith more. Solbas responds, “I feel that people are involving God in their albums and they’re starting to realise there’s an ongoing entity in the universe and he does involve himself in certain situations. He later expands, “Chance takes a classic gospel song, [Fred Hammond’s Are you Ready? was sampled in Blessings from last year’s ‘Coloring Book’] comes on SNL and it goes viral.” They both then begin singing Are You Ready. Glory and Solbas converse the way two people who’ve known each other since the early noughties and perform in a band together would. Glory, the much more business-minded and reserved of the two is happy to take a step back and allow Solbas to fill in the conversation while he collects his thoughts. Despite Super Silly’s obvious promise, make no mistakes about it, they’re fully aware of what they need to do to make it in such a ruthless cut-throat industry. Glory who owns his own business assures us that “music is a business and we’re in a venture together.” They must have their “visions in line” and “be committed”. We ask them whether this is made easier from growing up together. They reply affirmatively. “I feel like anything done in a band requires a lot of patience, a lot of vision and ambition and getting people thinking the same way," Solbas explains. “I feel like everyone knows the end goal. We can be friends for as long as we want but thinking the same way is always going to be hard. Musically, especially, the fact that we grew up together plays a big part into ourselves. “His music has influenced me and my music has influenced him. He really likes gospel music. I don’t listen to it all the time, but he could show me something and I could be like ‘I really like that.” Furthermore “you can accommodate for each other’s flaws because of that familiarity”, they explain. Being aware of your own strengths and skillsets in anything is vital. And they know this. Annie Mac recently commented, in an interview about her favorite thing about music; “…culture clashes and their consequences can be amazing things.” This is that in motion. The story of how Super Silly got to where they are isn’t straightforward. Glory and Solbas arrived in Ireland in 2000 from Germany and Greece respectively. They both then became involved in the gospel scene. “The church needed a bass player. My Dad started teaching me at eight but I didn’t put a lot into it but by 11, 12, I started focusing on it a lot more. That’s how I got into the gospel scene, from playing in different churches,” elucidates Glory. In amongst No Limits the pair (and Alan have also played in a band for high-flyers and fellow African-Irish R‘n’B stalwarts, HARE SQUEAD, something they remember with fond memories. It’s this patience and vision that Solbas earlier alluded to that shows that Super Silly is a serious band. One that are happy to bide their time until they’re confident about releasing something. And you can sense this freedom too, interwoven throughout their oeuvre. 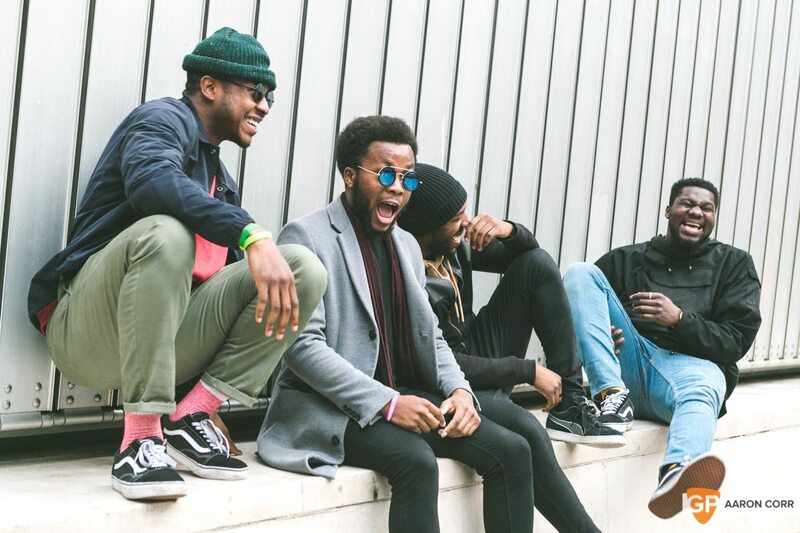 Super Silly is just a snapshot of the burgeoning hip-hop scene in Ireland. Given their early potential, don’t be surprised to see Super Silly ascend to bigger heights in no time. Super Silly will display their prowess on stage before hip-hop legend Chali 2na of Jurassic 5 fame, at The Sugar Club on January 27.